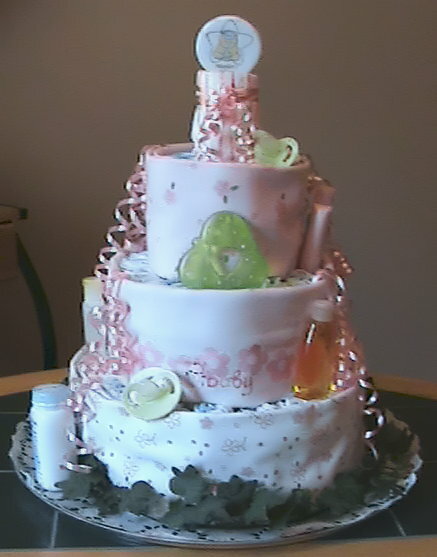 A Diaper Cake is the perfect gift for a baby shower. Each cake makes a wonderful centerpiece and practical gift all in one. They can be decorated in your color of choice. Each cake has three layers, includes over 60 diapers and at least 10 baby items. Items vary and may include Johnson's baby shampoo, wash, lotion, and/or powder, rattle, pacifiers, teethers, Desitin,rubber duck, brush and comb set, and keys. To order this item, click here. 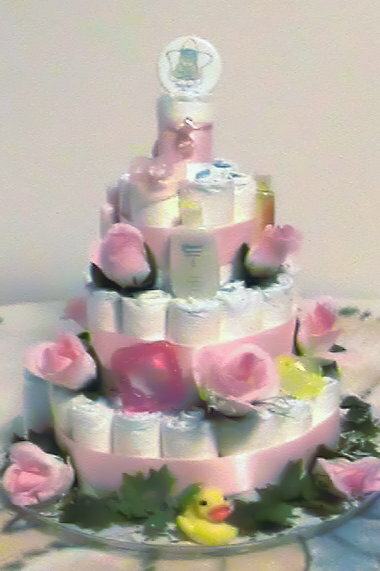 All Diaper Cakes are gift wrapped in cellophane with a coordinating bow! Shipping only applies to items that need sent outside Western Maryland. Please e-mail if you have questions. 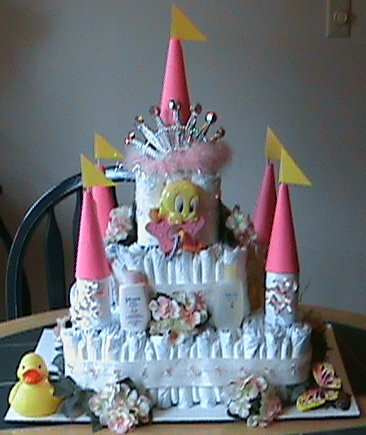 A bigger version of the regular diaper cake, the deluxe diaper cake has four layers of diapers. 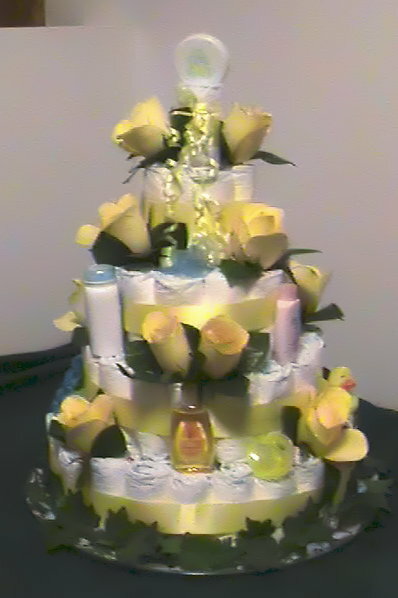 This cake includes over 110 diapers and a few extra baby items. This is the ultimate way to welcome a new baby! 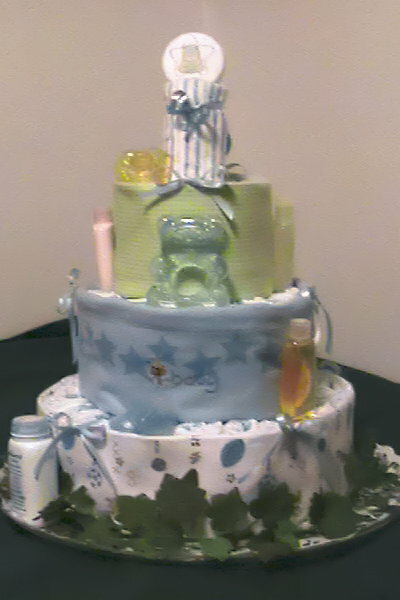 This cake is the same size as the regular diaper cake but the diapers are wrapped with four receiving blankets and one washcloth. The blankets come in choice of pink, blue, and green/yellow. Welcome your little prince or princess into the world with a diaper castle. 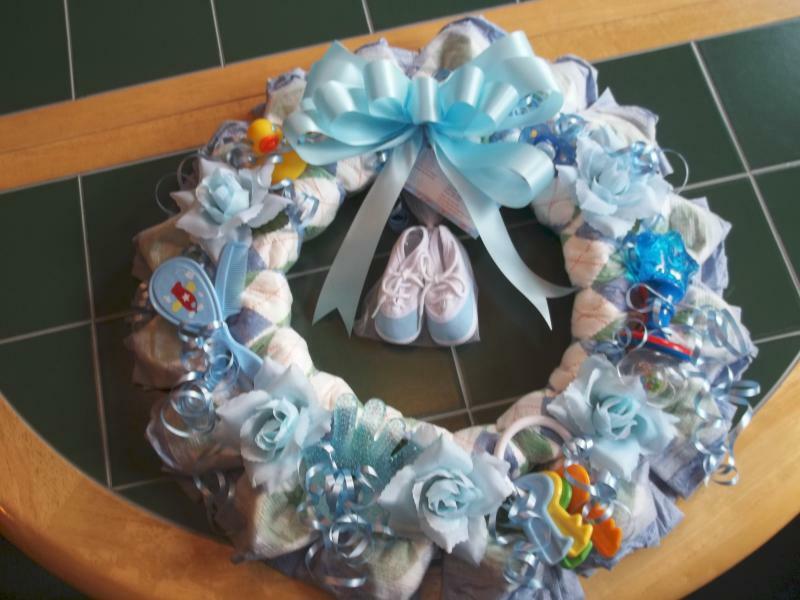 Each castle includes over 90 diapers and 10 baby items. 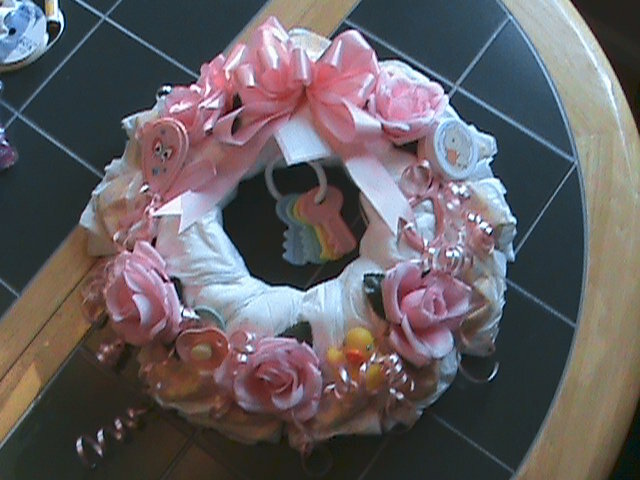 All Diaper Castles are gift wrapped in cellophane with a coordinating bow! Shipping only applies to items that need sent outside Western Maryland. Please e-mail if you have questions. 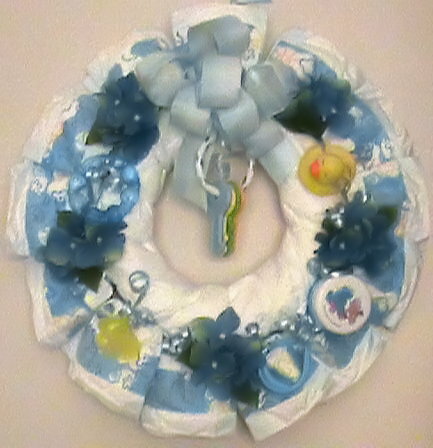 A diaper wreath is the perfect gift for the hospital room or baby's nursery. Each one can be decorated in your choice of color. 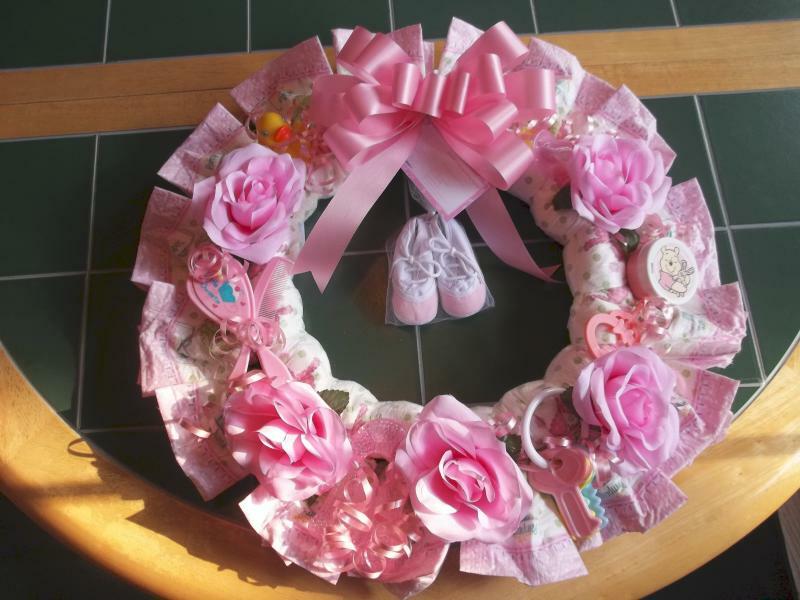 All Diaper Wreaths are wrapped in cellophane with a matching bow! S & H only for orders sent outside Western Maryland.